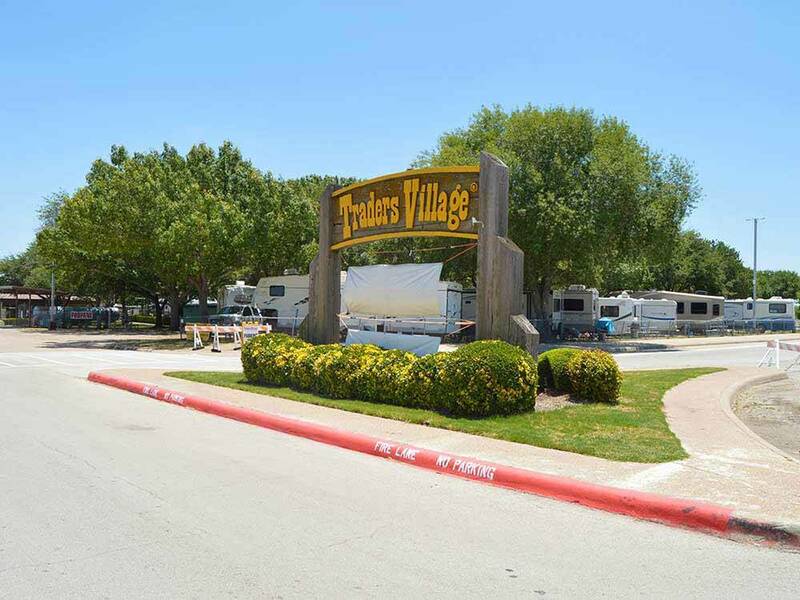 Conveniently located off I-20 & Hwy 360, this Top-Rated RV Park is adjacent to Traders Village weekend Flea Market with festivals and special events. Park is big rig friendly & features a pool, WiFi & convenience store. Very clean, Easy to access. No restaurants near by. No TV, Drain Hook up at the back of the trailer, took 2 hoses to reach it. No WiFi. Appeared the only decent sites were for 40 ft units. Our site for a 36 ft motorhome was very tight and had mud and many dog droppings on it. Seems to be a mainly seasonal campground. Not a 10 rated campground by any stretch of the imagination. Rater needs serious re-training. We are on our maiden voyage with our class C 29’ motorhome. We are traveling from Florida to Dallas to Arkansas to Orlando to Georgia to South Carolina, and then home to Pensacola. This was our second RV park experience ever. We chose this park based on location to the AT&T stadium and the ratings on the Good Sam website. The Good: Only 6 miles from ATT Stadium. 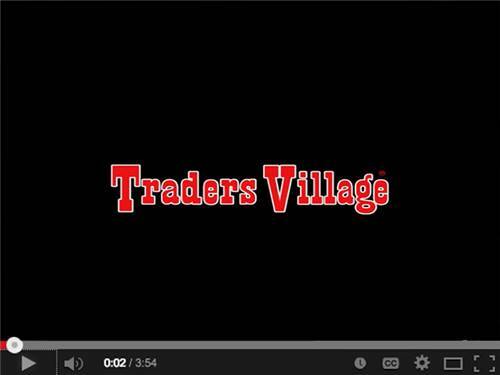 The Trader Village is a huge (I mean huge) flea market if you like that type of shopping – open only on weekends, but they have special theme events every month, like the Cajon Festival in April and Cinco de Mayo in May. They took phone reservations and had a plan for late check-ins. They offer a 10% discount for military or Good Sam. There was a store on site with a small supply of RV necessities, sundries, and food. Easy in and out. Clean sites. Two separate buildings for showers/toilets and one building had private bath suites. * Lots of trees for shade. ** Large outdoor swimming pool. *** Nice well maintained play area for children and another one for dogs. The site had a large cement pad**** surrounded by well-maintained grass. Picnic tables and large trash cans at each site. Full service hookup. The Bad: The staff were unfriendly. They did their job but did not smile, barely got off their phones to help us, answered our questions, but offered ZERO small talk (except amongst each other). We felt like we were inconveniencing them. Keep in mind, we are new to RVing. Maybe this is the tempo for this type of holidaying, but based on our experience at the previous park, these guys could learn a lot about customer relations from that guy – he was so friendly and helpful – he made us feel like he really appreciated us staying at his park. *None of the bathroom/showers were well maintained. The shower head provided such a weird stream of water. Standing water on the bathhouse floor. Very dirty grout and tiles. The bathhouse located at the check-in building seemed to have zero ventilation and smelled like a sewer. I had to leave it was so bad. I went to the private suite type bathrooms and the ventilation was better, but I really felt like I was at an unmaintained camp ground or state park bathroom. Not a 10 on my scale, and that was the rating on the Good Sam Website. I would have given it about a 5 at most. I felt like I should have just used our small RV shower. **The trees were full of birds and excrement everywhere. Difficult to sleep in with so many birds in one area chirping and the noise from the jackhammer. ***Swimming pool was closed for renovations, did not see anything about that on the website. Lots jackhammer noise during the day. ****The cement pad seemed like it was not level, so I checked it, see pic. The Ugly: Nothing noted Notes: If you are using Uber, you will have to text them to let them know how to get you. In this tech world, it would have been nice to be able to book on line. I would recommend staying here if you read everything I wrote and consider those items as normal or acceptable for RV parks. We will probably try a new park the next time we are in the Dallas area. I am sorry to say we will not stay here again. We had full hook-ups, but the sewer was plugged from before we arrived. We stayed 3 nights, and had to dump at the campground dump station before leaving. We requested maintenance the 2nd day, they showed up the morning of the 3rd day, after we made another request. We asked for an adjustment to E/W rate only, the manager never talked with us, and there has been no refund to the credit card. They lost our reservation, but they were kind enough to find a spot for us anyway. The office seemed very disorganized. Their sheet showed people vacating spots in 2011! I did appreciate very much that they accomodated us, however just the day before they had confirmed we had a reservation. The spot we received was very unlevel, and basically a spot in a parking lot. We never recieved the wifi code, instructions on where to park our vehicle that was being towed, etc. The pool area seemed clean although we didnt go in. It is immediately up against a small airport. Other reviewers said they had issues with the noise. It wasnt too bad when we were there. The other side flanks a giant flea market, which was within walking distance if that is your thing. Overnight the park was quiet. This is the first time that I havent agreed with the good sam rating. It had a 10, and for my family, that wasnt accurate. Maybe it has more to do withnthe things important to you. Not much ambiance overlooking a flea market parking lot. Nice people though and appreciated them fitting us in even though they couldnt find the reservation. Can't disagree with points raised by first two reviewers. Yes, there is a small airport next door & lots of long term residents. However, my experience was very positive. Efficient staff member(s) at registration desk, VERY clean rest rooms (shower, toilet & sink in each separate lockable room). The park is divided into two parts. Park setting and non-park setting, I was in the latter. Laundry room was large & only .75 to wash .50 to dry. Easy access to freeways. However, it is close to DFW, so there was noise from jets approaching to land which eased off around 9pm. I based my rating on value, location & organization. It worked for what I needed at the time. It's not a rural setting. This is supposed to be pet (dog) friendly with almost no area to walk you pet except beside a fence 20 inches parallel to the road. May be some at extreme other end of park. Then they say you dog can't bark or they will ask you to leave. Employee's very friendly and helpful that does not offset the park. Could not extend awning due to extreme proximity close to neighbor. Very limited outside you RV with neighbor's water and septic drain on same side as you would be sitting. Electric very high at front of parking for connecting to back of your RV. Park very clean. Close to some shopping, Wal-Mart ,Sam's etc. with absolute need for a auto as the park is at least 2.5 miles away.. Must note that flea market ONLY open on weekends. Parks store very limited drinks and snacks. As noted before, right next to airport with constant helicopter training from early AM to late sounding like over your RV so forget sleeping late. Although park very clean with friendly staff, I would not ever stay there again as the extreme limited space between RV'er does not promote a friendly atmosphere. Look at this park on Google and it seems like a giant concrete park with some scattered trees. Older park not friendly to larger rv's. Too many monthly renters, campers park among long term campers, hard to come and go with cars parked in roadway. Located next to airport, helicopter training starts at 6:30 am and goes late into the night, NO REST AND RELAXATION AT THIS PARK. Discover one of Dallas/Fort Worth's RV destinations with the area's largest weekend Flea Market featuring shopping, food, thrilling rides for the family, festivals, concerts and events. Traders Village RV is a Top-Rated Park.